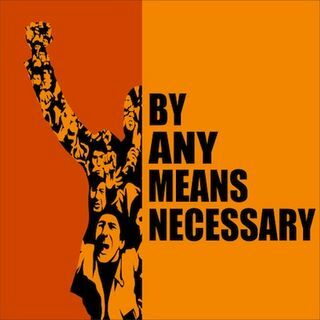 On this episode of "By Any Means Necessary" hosts Eugene Puryear and Sean Blackmon are joined by Wuyi Jacobs, host and producer of Afrobeat radio on WBAI in New York City to discuss the presidential elections in Nigeria, whether the results will have a real impact on the ground and the discontent among the young people in the country. Lucas Koerner, writer at Venezulanalysis.com joins for the second segment to discuss the meeting of the Lima Group, who supports the coup attempt in ... See More Venezuela, what the future may hold as the coup is clearly failing and the distortions of the mainstream media on what's happening in Venezuela. In a special third segment Eugene and Sean are joined by author Marcel Cartier to discuss his new book Serkeftin: A Narrative of the Rojava Revolution. The trio discusses Cartier's on the ground view of the YPG/YPJ fight against ISIS, the politics of the group and the possibilities of rapprochement between the Syrian government and the Syrian Democratic Forces. Cartier also discusses the social and economic situation on the ground in Kurdish controlled areas and the human toll of the war against ISIS. Eugene and Sean are joined for the last hour of the show by independent researcher Sam Menefee-Libey to discuss social media and critical thought in world events, how award shows like the Oscars propagate problematic societal attitudes and Diane Feinstein being rude to children asking about climate change.